A fly tying vise is an instrument used to help aid in the process of creating fishing flies to use as tackle when you fish. These are not small or compact by any means, but they can make your fly making experience a lot better. The best fly tying vise must be sturdy, versatile, easy to use, and offers a handful of other useful features in order to make fly tying simple. Here are six fly tying vises that are ideal for fly makers and fishers alike. Is a vise an actual piece of equipment I need to take on a fishing trip? What are c-clamps and pedestals? Which is better to use? What does jaw capacity mean? Where can I try a fly tying vise before I buy it? For a powerful and strong vise, one that you can consider is the Apex Rotary Vise from Wolff Industries. From head to base, this vise looks and feels of industrial quality. This vise is made entirely of stainless steel, with jaws that are fortified. After the first few uses, it will feel rather rusty, but after breaking it in after a week or two, it is certain to be very sleek and smooth to control. You can tie small and miniature flies with ease, thanks to its leveled head. It is both compatible with c-clamp and pedestal configurations. One of the downsides to the Apex, however, are the jaws; they cannot be replaced or adjusted. If you want to use bigger jaws, you would have to buy an entirely different vise, because modifying this vise is not possible. The Apex comes with two different sized grooves to accommodate different hook gauges, giving the jaws grip. But, if you use large hooks, you will have to mount the hook way back in the jaw for tying to be made easier. Regardless, this is a very sturdy vise that will last fishers a very long time. Peak is a brand that is on the rise in the fishing and sporting goods industry. This is not the prettiest looking vise you will find, especially when it is priced at over 150 dollars, but it is very simple to use. Like the Apex vise, you can choose between c-clamp and pedestal configurations. While the c-clamp is fairly decent, more people will favor the pedestal, since it is very large in size, is reasonably stable, and makes it ideal for positioning the vise itself. The heavy base will guarantee that you won’t jerk thread or any other parts out of place. Tying flies can be a delicate and convoluted task, and this instrument can easily help you through it from start to finish. For a rotary vise, the rotary has amazing function and great for fishers who otherwise have a difficult time tying flies with other methods. With Peak’s vise, you will end up having to switch between multiple different jaws on occasion, but changing jaws is fairly easy and straightforward. The range of jaws it can be attached to are phenomenal. Another vise that is great for beginner fly tiers is the Spider Fly Tying Vise brought to you by Griffin. This is a c-clamp vise only, but it offers 360 degree rotation so that you can tie flies from any angle. Clamp it to the end of your table or desk, and easily tie your flies without bending or hunching over. You can use small to large hooks with the Spider without any problems. Working with the vise when clamped to your table is very durable, and will not move as long as you clamp it firm enough. 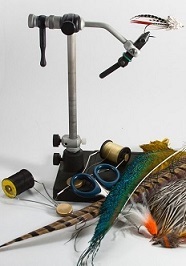 The bobbin cradle that comes with it is adjustable and versatile, so you can place it anywhere on the vise stem and feel comfortable with tying flies while sitting or standing. Unlike the first two vises, this vise comes with a single, adjustable jaw. This means you do not have to buy and change jaws, or be limited to smaller jaws, which is always a plus. While priced at under $100, you are sure to get great value out of this instrument, but if pedestal vises are more your cup of tea, consider buying a pedestal or hybrid vise. The Atlas vise functions very similarly to Wolff’s vise; it is made with high quality materials, looks very polished, and is built to last. Like Griffin’s Spider vise, this also comes with a 360 degree rotation. Adjusting everything is fairly easy and has minimal resistance, despite the industrial strength steel all throughout the instrument. Atlas’ vise is also compatible with attachable bobbin cradles, so that you have total control over the rotary functionality included. However, you have to buy a cradle separately. Unlike the Spider, however, this is a hybrid vide, so you can use either its c-clamp or pedestal; whichever best suits you. The jaw is big and can be easily adjusted, albeit they can be a bit rough to use. You need to adjust the angle properly in order to get the best grip possible for gripping larger hooks. This is a great looking clamp that will still work well in a number of years and never rust. While it costs almost 144 dollars, it is 144 dollars well spent. For over 20 dollars more, you can purchase a different vise from Griffin, known as the Spider Cam. There are many similarities between the two vises, and there are a few slight improvements with the Spider Cam, but are they worth the extra cash? While it is considered a premium version of the regular Spider vise, it is widely considered as a great tool for beginner fly tiers. You would also notice a slight upgrade in the quality of materials. Flies can be inserted and removed with great ease, thanks to the additional cam lever. The jaw is capable of locking ties into place, so they do not jerk out of place when you delicately touch or move it. You can take this vise apart fairly easily, if you ever want a convenient way to travel with it. This is a great feature, considering that the other vises thus far are not made to be taken apart or disassembled. While this is solely considered as a c-clamp only vise, you can modify the vise to turn it into a pedestal base. What you would have to do is but or build a separate pedestal, make the stem shorter, and fasten the vise to the pedestal that way. 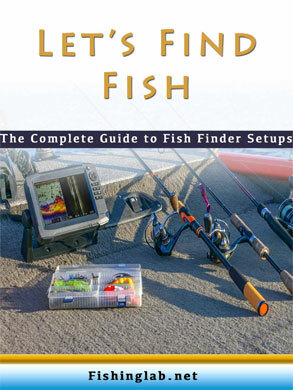 If you are just learning how to fly fish and don’t want to spend a fortune, this is another vise for you to consider. It is a fairly simple and minimalistic tool that can do its job fairly well. It is also a very light tool that you can pickup and carry without trouble or hassle. The Super AA comes with a cast iron clamp that is extremely tough. And like the more expensive models, it can be rotated at 360 degrees. While this is an incredibly cheap vise, it doesn’t come without its flaws. It will not last as long as the other vises in comparison. Another thing to consider is that it won’t clamp a table or desk with a lip that is thicker than two inches. With all things considered, that is not to say that the Super AA would be a useless vise to have. You can buy this as a decent backup vise and use it in case something happens to your more valuable one. By chance that you need more information for choosing fly tying and vises, here are some answers to common questions. A fly tying vise is not something that you normally take with you on a fishing trip. One or more days prior to your fishing expedition, you are to prepare your flies by using the vise to tie them in a separate location, whether it be at your home, a workshop, or another place indoors. A fly tying vise is too heavy to take with you in your desired fishing location, and there may not be any viable locations to provide you a safe and sound fly tying experience. We strongly recommend tying flies in an safe, quiet and comfortable indoor location with a table to work at and possibly a chair for you to sit in. A c-clamp vise is a vise with a clamp at the bottom of it. This clamp is connected to an end, a corner, or a lip of a table or desk. A pedestal, also known as a base, is a flat surface for the vise to stand upright on. A vise with a pedestal can be placed on a table, desk, or other flat surface as you are working. There are strengths and weaknesses for both c-clamp and pedestal vises. A c-clamp vise is fairly close to your body, so you can work on tying a fly without reaching or bending over. Because c-clamps work along the edge of the table, they occupy far less space. The downside is that moving a c-clamp is very hard to do, since it is clamped firmly to one part of the table. C-clamps may also be harmful to wood and other natural materials, as they can lead to eventual damage and/or discoloration. Furthermore, it might not be possible to clamp table lips or ends on lightweight or thin tables, such as card tables. As pedestal vises are placed on top of a surface, they can easily be moved around. Whether you want to move it closer, further away, or over to one side, the pedestal is not bound to a part of any table surface. With that being said, they will not harm wood tables or desks. They can be placed on any surface, so if you have a table or other surface that doesn’t have a lip to clamp, you will enjoy using the pedestal more. Pedestals and c-clamps both serve handy purposes. Which style is better, however, will overall come down to your needs and preferences. Jaw capacity means how big enough a hook it is capable of holding. Nearly ever vise with a jaw is rated for hooks that are down to a 32. Take into account that not only do you need a jaw that can open wide enough for your hook, but to also secure it firmly so that it cannot move or wiggle out of place. Having a big jaw on a vise may not always be a good thing, if the hooks you are using with it are fairly loose. Jaws also have patterns to them to help grip a hook. They can be smooth, serrated, slotted, grooved or textured. If you do not know how big you want your hooks to be, buy some normal sized hooks and make sure that the vise you want to buy is capable of firmly holding these hooks. When setting your hook into the jaw, you will want to position it as far as you can to form a tight, secure bite; yet not too far back that there is not enough room for you to work with. Do not place your hooks in between the very tip of the jaw. This will wear out faster due to all the clamping force being dedicated to the edge. 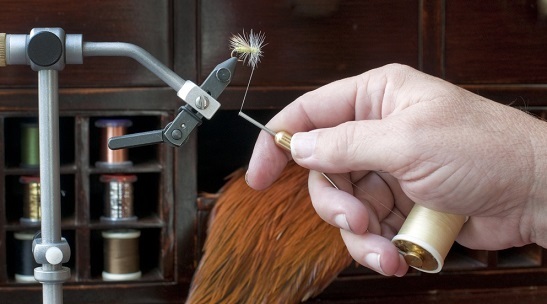 If available, you can go to a local pro shop or sporting goods store to test a fly tying vise before you make a sound decision to purchase it. There is no way to test a vise for yourself with an online store, so if you want to see a vise in action, you can search for videos, and hear what the user has to say about the vise in question to make a decision for yourself. After several comparisons among all the vises in this review, we deem the best fly tying vise under $200 to be the Griffin Odyssey Spider Cam Vise. For being smack dab in the middle of the price range for vises, the Spider Cam has almost everything you want in a good vise. It has great quality, it is stable, it has a large enough jaw, and you can adjust it easily to best accommodate your desk or table. While there are other vises that have remarkable quality and cost more, they are not the most functional. While it is true that the Spider Cam is does not have a pedestal, you can always give it one if you cannot grow accustomed to its c-clamp. Whether you are new to fly tying or simply want to find a better way to tie, you simply cannot go wrong with the Spider Cam.